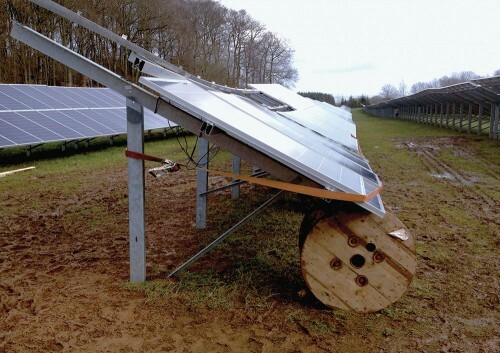 No one wants a poor PV system installation, but it happens from time to time. The good news is it’s 100% preventable but you should first understand the causes of a bad installation, and then learn how to prevent it. We tell you how. Problem #1: The installer is unskilled and unknowledgeable about the correct installation process, but how do you determine that? Solution: Screen the installer. Ask for references and evidence of their experience such as pictures, invoices, permits and inspection reports. Ask how much training they received, and where they received it. You can even ask to see their graduation certificates. Inquire about industry certifications (NABCEP) and whether they have a contractor’s license. If they can’t or won’t provide any of the above information, don’t contract with them no matter what they promise you. A reputable installer will be eager to provide their credentials. Problem #2: A skilled and experienced installer wants to install a brand-new product that is not fully understood or tested in the industry. It is not uncommon in this industry for changes in PV products to outpace the contractor’s full understanding of them. Don’t be the guinea pig. Solution: Insist on tried-and-true system components unless it’s just an improvement over a product that has been around a while. It’s best to see how those brand new products hold up during beta testing. Find out by going to the internet and doing some independent research. Don’t be afraid to tell your installer what you learned and that you prefer another product. Problem #3: The contract price is too low for the contractor to make a profit. Incorrect bidding is common when a contractor is inexperienced, but underbidding occurs occasionally even for experienced installers. Solution: It is best to find out the going price for the installation prior to accepting a bid. If you don’t know the going price, get more than one bid and then compare. Most companies will give you a generic bid without a problem. Some Advice: If the installer you select has underbid the installation, it may save you money in the long run to offer a fair, renegotiated price. Some contractors are very honorable and will do the same good job even if they lose money, but some will not and that may cost you more down the road. And remember, a deal too good to be true is usually exactly that, untrue. In summary, the real responsibility is on you, the customer. Take a day or two to learn about the PV products, the installation process and who the good contractors are. There are many organizations out there to help you. Here are a few links to get you started: American Solar Energy Society, Solar Energy Industries Association, NABCEP, IREC, and The Solar Foundation. Finding skilled, experienced solar PV installers isn’t difficult, and eliminates the frustrating and very expensive future problems of a bad, or failed, solar PV installation.